We need a sustainable disposal method for when it rains because the Pambula Merimbula Golf Club, Oaklands Farm, and other feasible reuse sites can’t take all of our recycled water. Finding a long term and effective solution has been difficult and we’ve considered many factors such as the shape of Merimbula Bay, the need to protect our lakes and vital oyster industry, and our duty to safeguard public health. In consultation with a Focus Group in 2009, we looked in detail at all the ideas for a suitable disposal method, and we found that a new ocean outfall is the only practical solution given the physical constraints of the area. The Group found no other viable option which can remove the need for an ocean outfall and the NSW Environment Protection Authority supports this finding via conditions in our Environment Protection Licence. We want to do the job well, which also means upgrading the pumping and processing equipment to improve the quality of the recycled water coming from the plant. A significant benefit of this project is that we’ll no longer need to use the dune site for disposing of recycled water and that’s important for the Bangalay Sand Forest. We’ll also be able to rehabilitate the dune area before we look at giving it back to the Aboriginal community to look after. 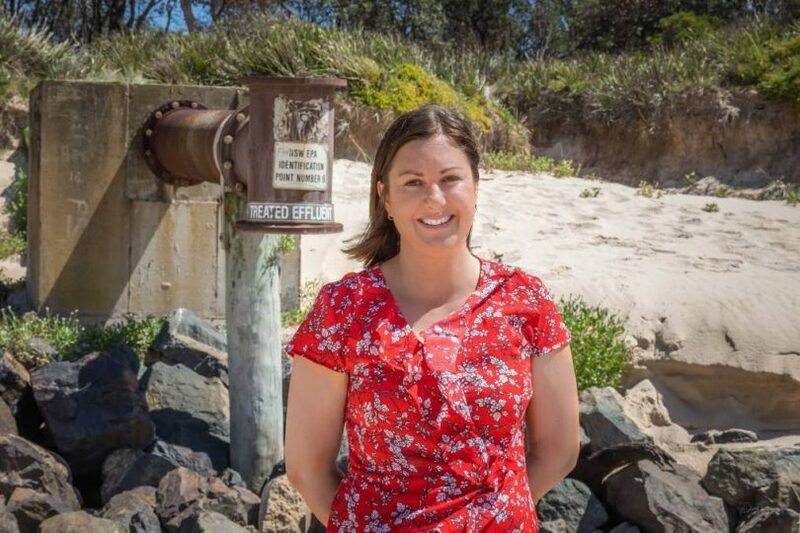 While the decision to construct an ocean outfall has been made, a new Community Working Group and AECOM (specialist environmental consultants) are now considering the finer details of the ocean outfall such as its alignment, depth and how far out to sea it will go. I believe that we have a balanced solution – an improved treatment plant producing cleaner recycled water, a new ocean outfall for sustainable disposal when needed and increased reuse capability. Together, these elements form the only viable and environmentally sustainable option. Our region’s reputation is based on our unspoilt natural environment and I am absolutely determined to safeguard our precious environment that is at the foundation of our lifestyle, our livelihoods, our economy, and our future, as are all members of the Council. #Region Media took part in a Council media briefing on the project on Friday, more to come. Much as I think most would agree disposing of any waste water into the ocean as less than ideal, given that there has been the opportunity for community involvement in this project since 2009 (assuming this has been genuine community input and not crafted by bureaucrats to suit a pre-determined agenda), I don't think it's fair or reasonable for people who have not taken advantage of opportunities for input over the past 10 years of the process to come out now, at the 11th hour, with criticism based on little more than a philosophical preference. I've seen this before. The community is offered an opportunity to participate in a decision making process that is quite complex but choose not to speak up until a long and complex investigation has been completed and the findings published. In all fairness, you can't expect the council to re-start the entire decision making process because you didn't notice what was going on or weren't motivated enough to act when the opportunity was there. My only caveat would be if the council didn't sufficiently publicise these opportunities at the time. I think it's also important to keep this whole thing in perspective. BVSC is not talking about pumping the town sewerage into the ocean. It is recycled water that has been through a treatment plant, and then only the excess that cannot be disposed of by some other means such as irrigation. This has been happening for decades already. All BVSC is seeking to do is improve the quality of the recycled water, reduce the volume as much as possible and stop dumping it straight on the beach. With projects of this scale there would be innumerable factors to take into consideration, and if this decision is indeed the result of a thorough investigation of all the available options with input from qualified experts in the field I think we should just accept the decision of our elected representatives. Yes, we did elect them remember. I'm sure there is an 'ideal' alternative out there, but is it practical or realistic? Conversely, if BVSC were to start shredding copious amounts of rate payers money on other options or processes I'm sure the usual ill-informed vocal nay-sayers would soon be bleating their opposition on the airwaves. I must say, over the past year or so I have noticed a significant improvement in BVSC communications. Kristy and the BVSC team have done a great job in opening the doors to the council chambers and have done their best to keep the community well informed. If you don't know what's happening you're simply not listening. And a big thumbs up to Ian and the About Regional team for spreading the word. I'd be interested to know what the e-coli levels are in the recycled water is. The pipe is already there. The ocean outfall only occurs during rare occasions such as floods (both rain and tourists). On its own, a longer pipe might have the optics that the bvsc is putting the problem out of sight out of mind. But the existing outflow pipe IS out of sight, no sealed roads for public access, in the middle of a long beach with better places to swim and surf at either end. BVSC are also planning to upgrade the plant, reuse more bore water, etc, etc. AND bvsc have plans to make where the overflow is currently being dumped much prettier. If you want to help, you should install a grey water system to flush your toilet. Lead, follow or get out of the way.